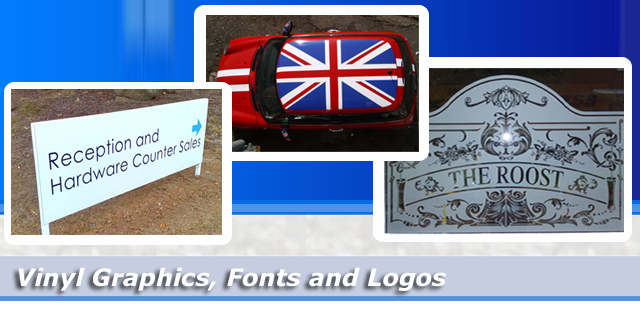 Sign Wizards offer and wide range of computer cut vinyl graphics & logos in various sizes, font styles and colours. Self adhesive vinyl lettering began replacing painted signwriting back in the 1980’s and has now become universally accepted as a better alternative to paint, particularly when used for vehicles, as it is removable and designs are more easily reproduced. Vinyl is still arguably the best form of graphic material for most external applications that require long life and colour stability. Unlike printed material, a quality polymeric or cast vinyl will last around 7-10 years.